Here comes another pyramid-themed slot game from Core Gaming and it can be rightly said that the game is pretty interesting. 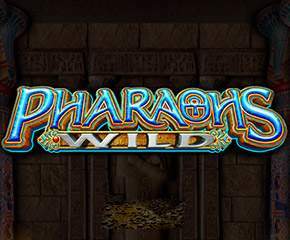 Pharaohs Wild slot comes with several bonus features. There are 5 reels and 20 fixed paylines in this slot. In the background, you can find a gloomy interior of a tomb. The reels are attractively framed and look highly appealing to the eye. Not only that, on both the sides of the reels, there are piles of gold which cover the entire floor for the reels. On the top right-hand side, there is a mummy present to give you the spooky feel. The minimum value for a coin that can be set in here is £0.20 and the maximum that can be set is £500. To set any of the value between these, click on any of the diallers which have a plus and a minus. A gold circle exists on the left side of the reels. Click on “Spin” to set the reels in motion. Also, you can click on the “Autoplay” button which will help you play uninterrupted. The Autoplay consists of various options as well. The symbols are quite closely related to the theme of Pharaohs Wild. They include a golden lamb, a Sphinx, a camel and a Mummy. The symbols of the lower values are not very different from normal slots. They include 10, J, Q, K and A. To spice up things, there are wilds present in the game. The wilds will help form more winning combinations. Another benefit of wilds is that they will trigger the free spins round too. • Free Spins – On landing 3 or more wilds, this feature can be triggered. The good part is that there is no fixed number of spins you will get. These spins continue to come until you find no wilds on your screen. However, you can find a retrigger feature as well. On the fifth reel, a wild will land and you will be awarded 5 extra spins. • Floating Bonus – A stack of three same symbols when land on the first reel, this feature gets triggered. A similar stack shall appear, and it will be placed on one of the reels. If you are lucky, this feature can be retriggered, and the players can win big. • Mummy Bonus – This feature gets triggered randomly. A number of matching symbols can be found. These shall definitely help you in landing wins. The free spins round can be triggered using this bonus feature. 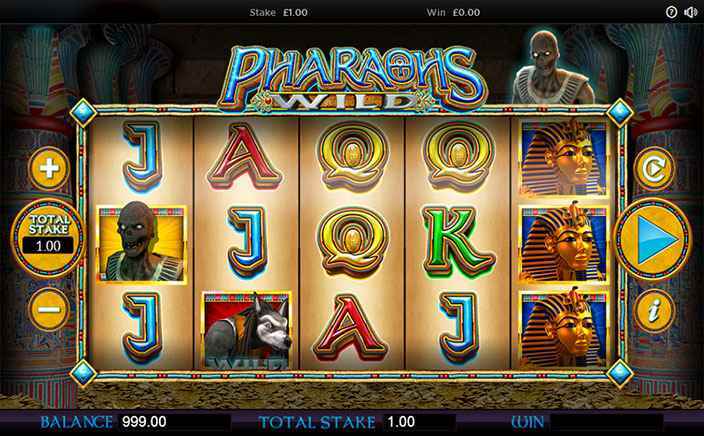 Pharaohs Wild is a highly interesting slot and with some good graphics. The 3 bonus features surely keep you hooked to the game. The Return to the Player percentage is 94%. Give Pharaohs Wild a spin today at Monster Casino.